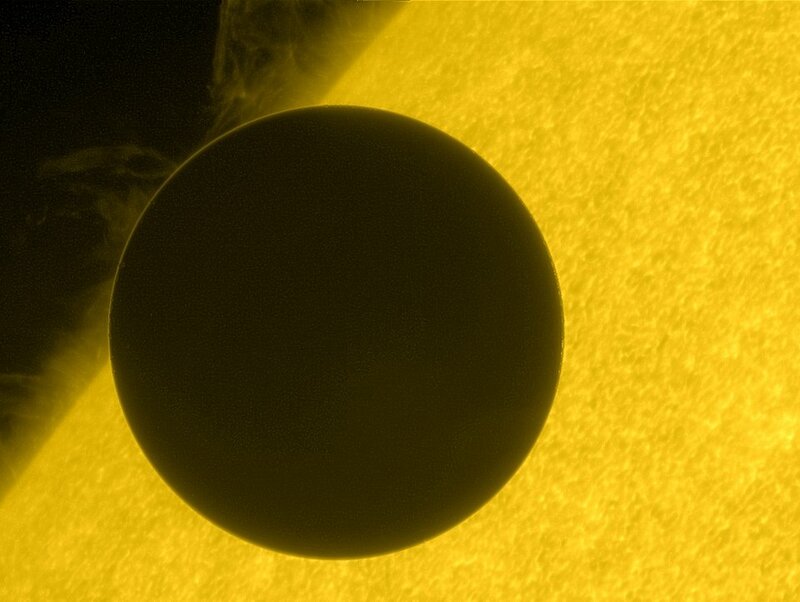 Transit of Venus blog | Watch Venus cross the face of the Sun! Watch nearly seven hours of transit time in less than twenty seconds! This time lapse movie from ESA TV shows the transit of Venus as experienced under the midnight sun, 78 degrees north from the Arctic island of Svalbard. Interference from cloud gives an eerie feel to the scene. The international Sun-watching spacecraft Hinode caught this stunning view of Venus entering the solar disc on 5-6 June. More Hinode transit images are available here. Almost the whole Venus transit could be captured despite of some clouds did get into the way of those observing the transit of Venus in Canberra, Australia. Credit: ESA – M. Castillo, M. Sanchez Portal, S. Martinez. Cloudy weather did impact on the Venus transit observations at Longyearbyen, Spitsbergen. 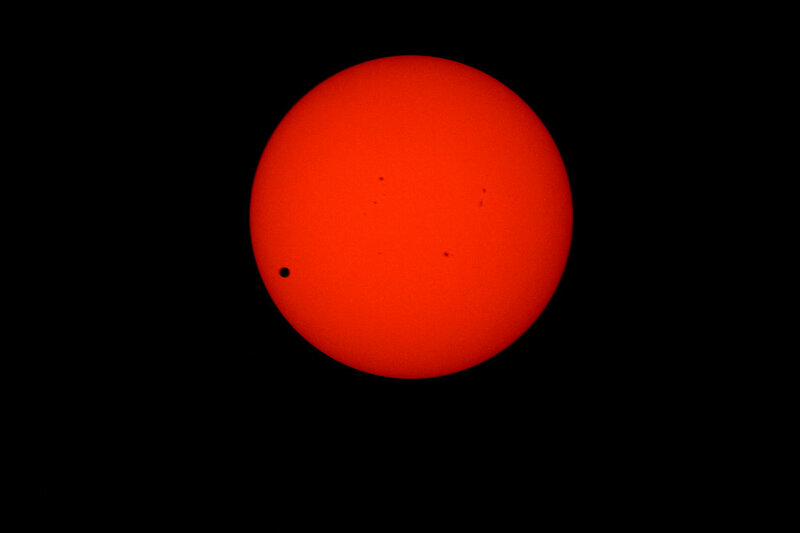 Still most of the Venus transit could be captured. Credit: ESA – M. Breitfellner, M. Perez, S. Martinez. Some of our Mars Express colleagues holding a meeting in Budapest this week were treated to clear skies for the transit during sunrise. Here are some views of their experience. where the whole 2012 transit of Venus was visible.